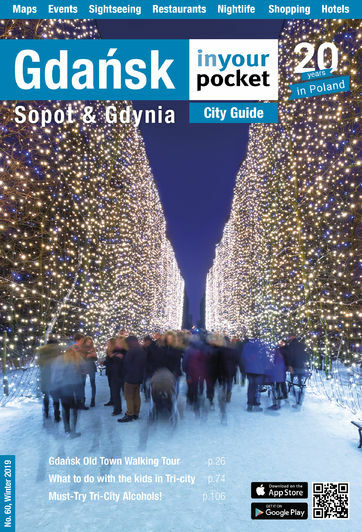 At In Your Pocket we love Gdynia, but most certainly not for the way it looks. With its dull grey buildings and concrete boulevards the city has all the aesthetic pleasure of a wet Wednesday in Birmingham. But that looks set to change with the construction of Gdynia Sea Towers, an architectural masterpiece that will rank as Poland’s tallest building outside of Warsaw. Consisting of two towers – 28 and 36 storeys apiece – the separate skyscrapers are adjoined in mid-air by a connecting set of floors suspended above the ground below. Part-office, part residential, this daring construction is set right by the coastline, with views that promise to be unbeatable. Completion is slated for 2009 and interest has already proved high. Designed by a Viennese firm GST will boast a top-floor viewing platform, two glass-roofed swimming pools, squash courts and fitness studios. Prospective residents can choose from 43 metre boltholes, to 235 metre penthouses, with the more exclusive apartments touting three-metre high ceilings, air conditioning and floor-to-ceiling windows for the ultimate view. On offer to all are a range of services that range from childcare and wake-up calls, to plant care and grocery delivery. If it sounds too good to be true then you won’t be surprised to learn that it is – the bad news comes with the prices, astronomic for this part of the world. Prices range from 10,970zl to 22,949 per sqm. If you’ve got the dough then skip to www.investkomfort.pl for the inside scoop.